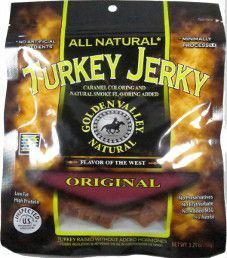 The next review on Golden Valley Natural will focus on a 3 ounce/85 gram bag of their original flavored turkey jerky. This jerky was kindly submitted for review by the Golden Valley Natural team. 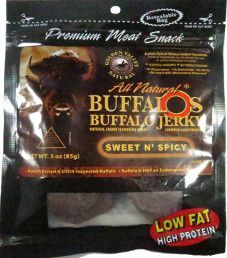 The next review on Golden Valley Natural will focus on a 3 ounce/85 gram bag of their sweet n’ spicy flavored buffalo O’s jerky. This bag was purchased as part of an online order in 2014. 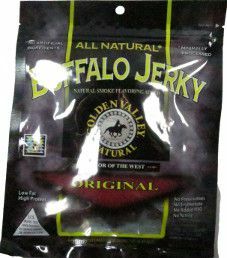 The next review on Golden Valley Natural will focus on a 3 ounce/85 gram bag of their original flavored buffalo jerky. This jerky was graciously submitted for review by the Golden Valley Natural team. 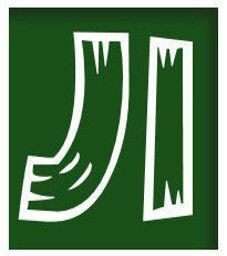 This news announcement is long overdue, where we have started all of the most recent jerky makers that submitted their jerky for review. In this round of submissions, I approached four jerky makers that are likely in the bottom half of the top 10 for jerky sales in North America. All four jerky makers agreed, but then out of nowhere, last minute Divine Bovine changed their mind. 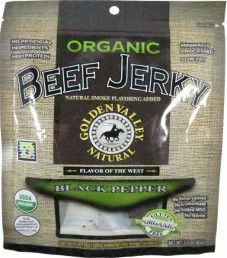 The next review on Golden Valley Natural will focus on a 3 ounce/85 gram bag of their black pepper flavored organic beef jerky. This jerky was kindly submitted for review by the Golden Valley Natural team.